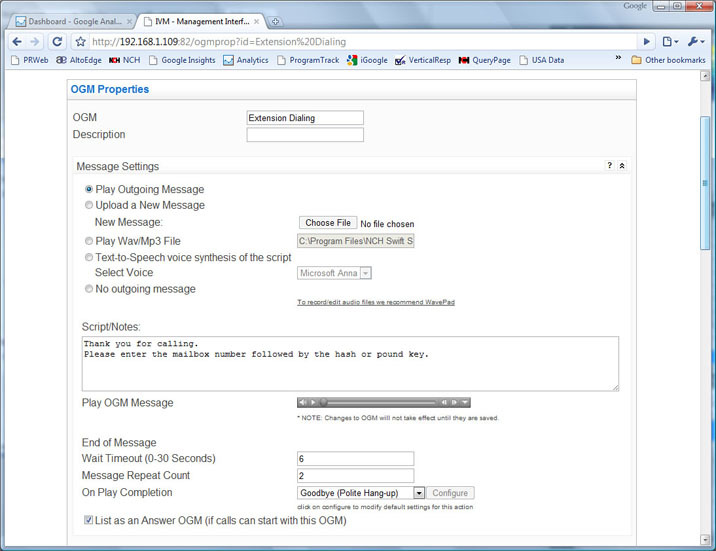 IVM is a telephone answering machine, voice mail, call attendant, and interactive voice response (ivr) program for a Windows computer with voice modem or professional telephony line device. 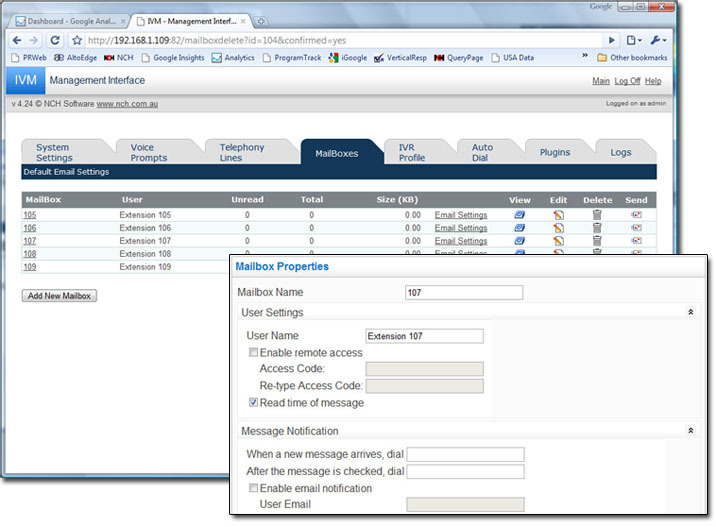 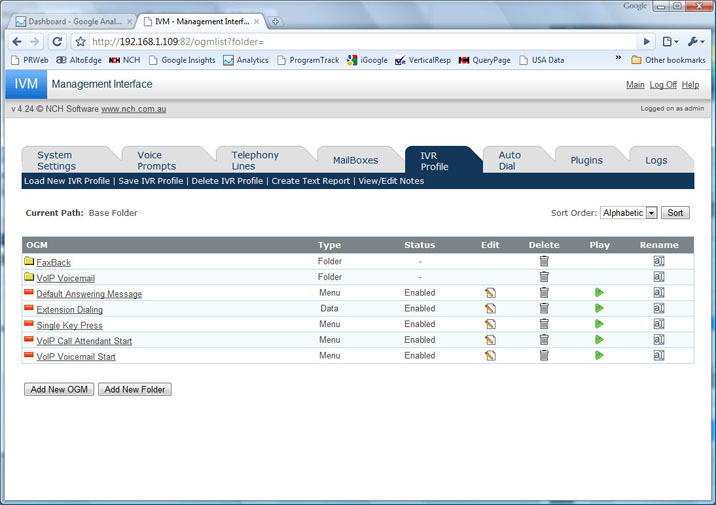 IVM can be configured from an easy to use web panel. 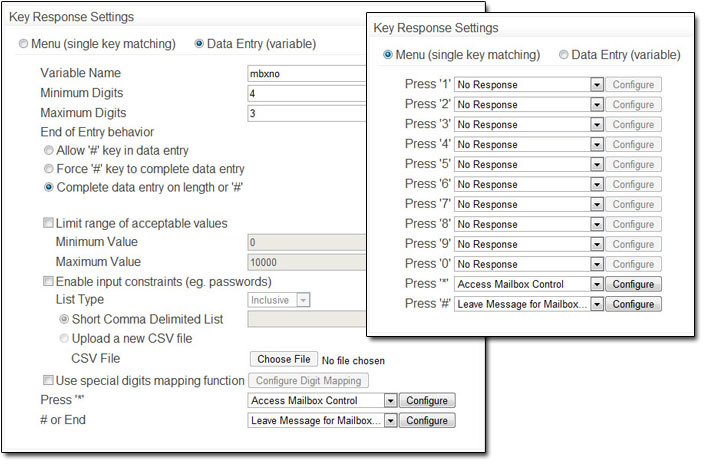 Set options for key response for a single key press or variable data entry for every Out-Going Message (OGM) in the OGM Properties. 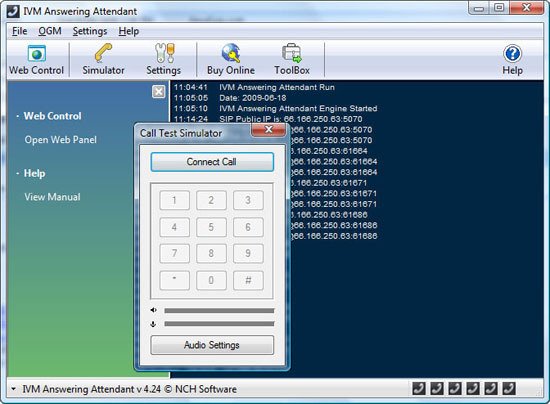 IVM is a telephone answering machine, voice mail, call attendant, and interactive voice response (IVR) program for Windows. 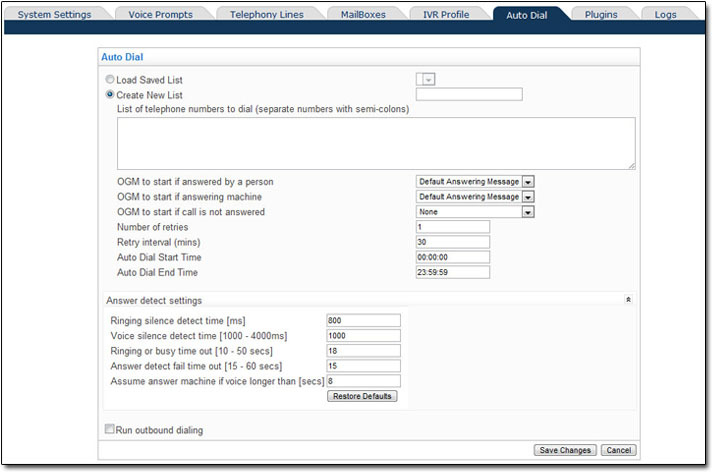 It connects to the phone using a standard voice modem, professional telephony board or even directly to a VoIP service.